This page allows you to see information about specific users who have attempted your courses. The ‘Your Data’ feature is a purchasable component of Analytics, if you would like to invest in this feature or would like more information please contact us. …after clicking this option we will send all of the Data from this Project to you in a CSV (this may take a few minutes to collect) via email. 💡 Please note! You will only be able to create a new CSV file in your account once every 8 hours, you will be able to download it subsequent times after clicking the ‘Download your Data’ button and this will provide you with the file that has been generated for the current period of time. Here you will find more information about how to read the data contained within the CSV. A Learner will be issued a unique registration number for each session. One Learner may have multiple registrations if they have accessed the course more than once. This is the unique Project ID, found in the URL, both while Authoring and in Online Public Releases. The section shown in bold is the project code. This is the Project name, found in the Configuration tab of the Project. 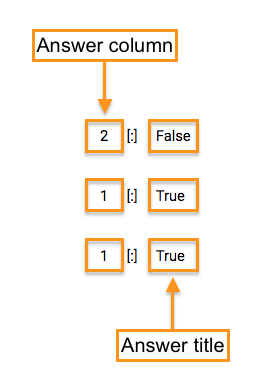 The section shown in bold is the Release code. If you have multiple Releases, this can help you identify which Release has been accessed, as the code can also be found on the Releases section of your project. When creating a new Release you have the option to add a note. These will be shown in the release_description column. If you have used the Rapid Release feature, then a Release will have multiple versions. This will allow you to identify which version was accessed. You can see the current Release version in the Releases section of your Project. Elucidat offers four different Release modes, please click here to find out more about these. This column will display a unique ID for each Learner. While a Learner may have multiple registration numbers, their learner_user_id will remain the same. This will indicate when a Learner started a session. This column will show how many times this Learner has attempted the course before their final score was recorded. Please note this will only be recorded if the course is accessed via a SCORM package. If the Learner has completed the course then the date of completion will show here. This is also displayed in the Your Data dashboard. in the Your Data dashboard. This will display the Learner’s total score for the course. If your course contains Question pages, the data concerning these will follow this column. The answers will display differently depending on the question types. Here are a few examples of these. Each column will then display the answer in two parts, the answer column, and the answer title. 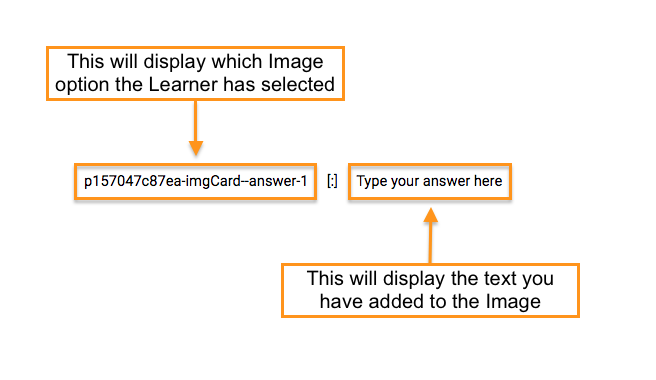 The text entered by the Learner will then display in the column. 💡 Pro Tip! 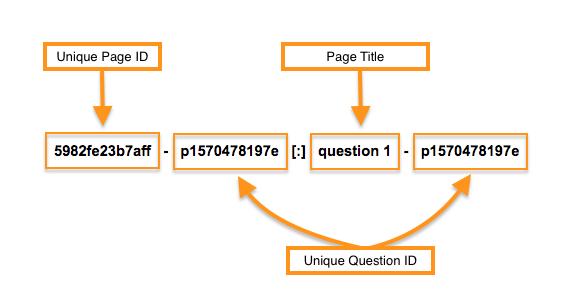 If you plan to use the Your Data feature, you may want to think about how questions will be displayed when naming your pages so that they are easily identifiable later. Each Question page column will be followed by a page_score column for that page. This will show the Learners score depending on the Score weighting set. For example with the default score weighting of 50, a Correct Score would show here as 50, a Partially Correct score would show as 25, and an Incorrect Score would show as 0. This can also be seen in the Your Data dashboard by clicking the magnifying glass under the Answers section to reveal the question data.